As I previously stated, the experiment at apartment acres is now over because of smell, and North Carolina summer heat. 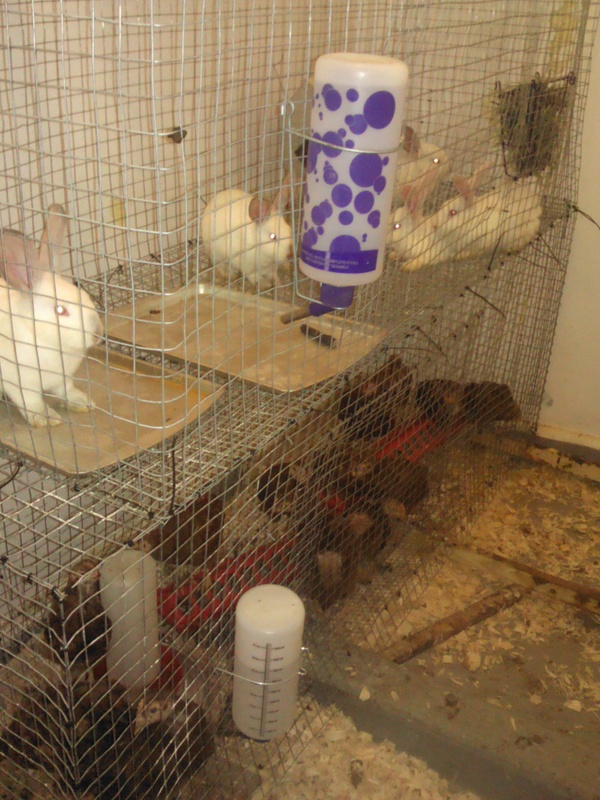 However, the five rabbits, 13 chickens, and 8 button quail are moved to their new location at Camp Mary Atkinson, which is the property of the Girl Scouts of North Carolina Coastal Pines. There was an old bathroom in the back of the program building (with a shower) that no longer worked, and the only things living in there was spiders and bugs. The floor was concrete, and if the animals make a mess, no biggie! These are the new digs for the chickens and the rabbits! I used the cages that I made of 1″ hardware cloth for the top and sides, and 1/2 hardware cloth for the bottom (so the poop drops through). They also have pans that they can rest their feet on if they get sick of hardware cloth. 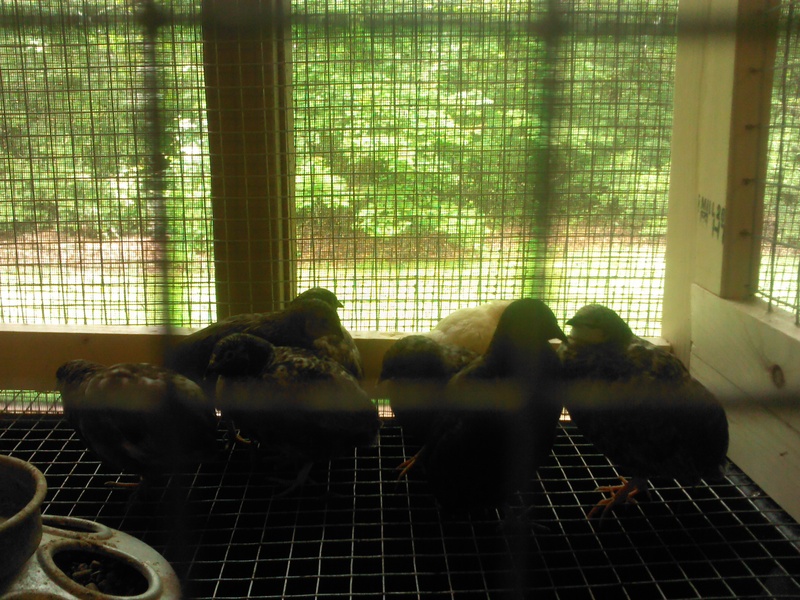 The button quails are living in a different part of the building, because they are very small. I made them a 24″ x 18″ cage. They are less friendly, but still cute. Button Quails on the mantle.